First introduced to the world in 1984 as a Def Jam Records flagship artist, LL is the first rap artist to amass 10 consecutive platinum-plus selling albums, while 2004’s "The Definition" and 2006’s "Todd Smith" both went Gold. He is a multi-platinum artist who is currently tied for third place for most Billboard chart debuts by a rapper. Last year, he released his critically acclaimed album "Exit 13," his appropriately titled 13th and last album for the only label he has called home - Def Jam Recordings. As an actor, LL recently completed production on the film "The Deal" opposite William H. Macy and Meg Ryan. He also starred in "Last Holiday," opposite Queen Latifah and "Edison," starring Morgan Freeman, Kevin Spacey and Justin Timberlake. LL has appeared in more than 30 films and starred opposite acclaimed actors such as Samuel L. Jackson and Colin Farrell in "S.W.A.T.," Al Pacino, Jamie Foxx and Cameron Diaz in "Any Given Sunday" and Gabrielle Union in "Deliver Us from Eva." Other film credits include "Rollerball," "Charlie’s Angels," "Kingdom Come," "In Too Deep," "Toys" and "Slow Burn" with Ray Liotta. He has also received a Blockbuster Award for best comedic performance as the "Chef" in Renny Harlin's action film "Deep Blue Sea." Three years ago, LL transitioned to television with a dramatic performance on the second season premiere of "House." Recently, he guest-starred on "30 Rock" as hip hop mogul Ridiculous. Also an author, LL’s fitness book, LL COOL J’s Platinum Workout was a New York Times bestseller. In 2002, he released a children’s book, And the Winner Is, as part of Scholastics series of books and CDs by today’s hottest rap stars called "Hip Kid Hop." LL’s book tells the story of a young basketball player who learns the importance of winning and losing gracefully. He also penned a 1997 autobiography, I Make My Own Rules. LL is from Long Island, N.Y. and his birth date is Jan. 14. LL resides in New York and Los Angeles with his wife Simone and their four children. 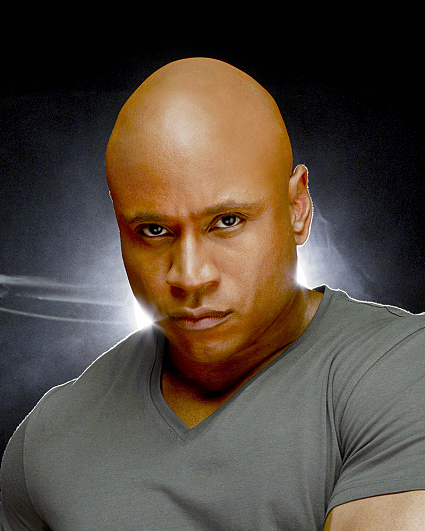 He can be followed on twitter @llcoolj.